Desktop is dead. Mobile is now king. Sixty percent of U.S. digital media time is spent on smartphones and tablets while 52 percent of that engagements happens via apps. Evidently, consumers are moving toward entertaining and informing themselves through mobile devices, so how can you keep up with this new trend on a small business budget? Yelp is a straightforward way to market your business locally. Head over to the site and create or claim your Yelp Business page. Once you’ve claimed your company name, spend some time optimizing your Yelp Business Page. Upload photos of your products, restaurant, or space and add your company site’s URL. After completing your profile, encourage customers to leave reviews to raise your business’s ranking. In addition to building positive reviews, be proactive about your negative reviews by replying to them in a helpful way. Consider offering discounts to customers who check in on Yelp. Checking in lets their network know that they visited you, increasing your business’s visibility. You can also advertise on Yelp, but this can be pricey if you’re trying to work within a strict budget. Guess what the open rate for an SMS is? Not 40 percent. Not 60 percent. Not even 90 percent. The open rate for SMS is almost 98 percent. It gets better. Nearly 90 percent of SMS recipients open a message within the first three seconds of receiving it, allowing you to market time-sensitive or thematic promotions like lunch specials or happy hour deals. Your messages should be short and to the point. Customers aren’t interested in reading lengthy text messages from a brand. Additionally, include a call to action. It won’t be as fancy as the ones on your site, but you should include a link to your site so customers can take advantage of a specific promotion. Small business owners can find apps that provide user-friendly platforms for SMS marketing. A hair salon may use SMS to send appointment reminders, and one of these platforms can help automate that process. Of course, you’ll need to have a contact list large enough to justify this cost, since these services do come with a monthly fee. SMS marketing can be a powerful, budget-friendly tool, but there is a catch. It comes with limitations, most notably the fact that the anti-spam rules around unsolicited text messages are strict. Your business can face heavy fines for sending messages to people who never signed up for them, so make sure your texting list only consists of individuals who have specifically opted in. In these cases, consumers aren’t looking for long essays or graphs and charts. They want quick info that will help them perform a specific action (i.e. satisfy their craving for Indian food). Anticipate the sorts of questions your customers may ask and prepare content that responds to these micromoments. This makes SEO extra important. Understand what the popular search terms related to your industry are and make sure your company’s content answers those questions. You may need to prepare varied content for different times of day. For instance, if someone lands on your site while you’re closed, a landing page with helpful resources or a contact form that promises a call within 24 hours can help keep your business running even when you’re not available. If you choose to use them, make sure your QR codes are working strategically. Ensure each code takes the visitor to a landing page specifically designed for that QR code. If you sell summer apparel, but your QR code is located on a poster advertising a promo for swimsuits, ensure that code leads directly to a landing page about that promotion. If it leads to your website’s homepage, your customer is forced to go hunting for the deal and may grow frustrated or lose interest. Consumers no longer conduct extensive research in advance the way they used to because they know they can simply whip out their smartphone and find a fun activity or nice restaurant. Tweak your content to rank for location-specific terms so that your business stands out if someone conducts this sort of search. This means you shouldn’t just optimize for your city but for street names and neighborhood nicknames as well. Your web page should be compatible with mobile devices. Period. This is no longer a luxury, but a necessity. Sites like WordPress make it easy for your website by using responsive design which adapts to whichever device the site it is being viewed on. 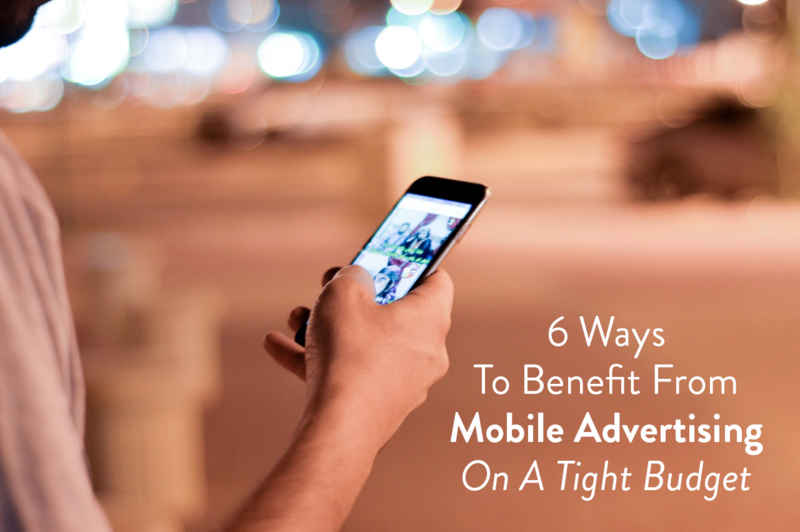 Ditch any doubts about your ability to effectively market in a mobile-centric world. These tips will help you establish a solid foundation that you can build on as your knowledge of mobile marketing grows wider.